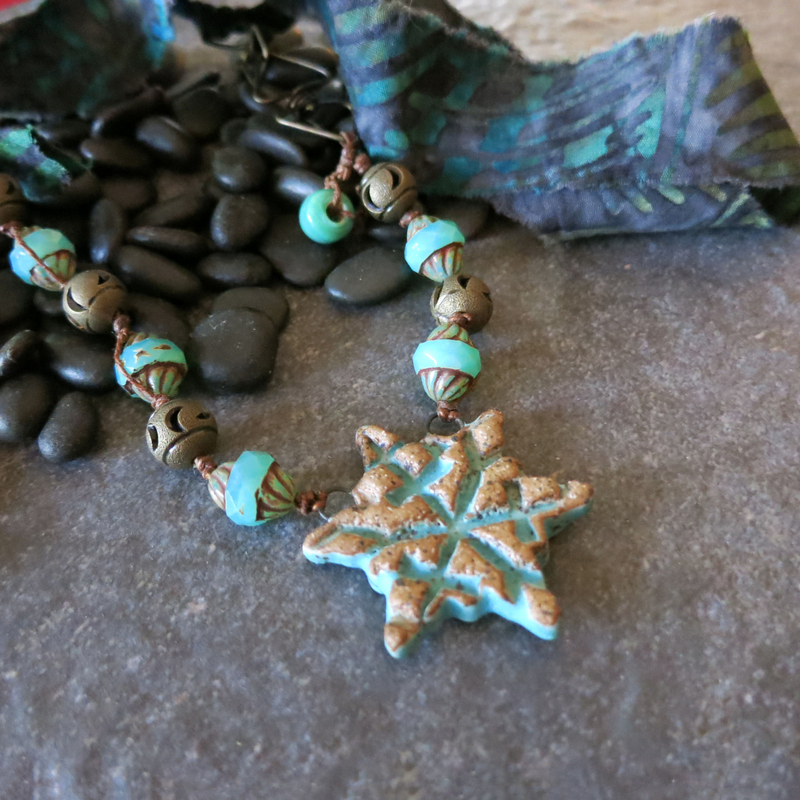 This turquoise snowflake necklace will help brighten up a winter day. 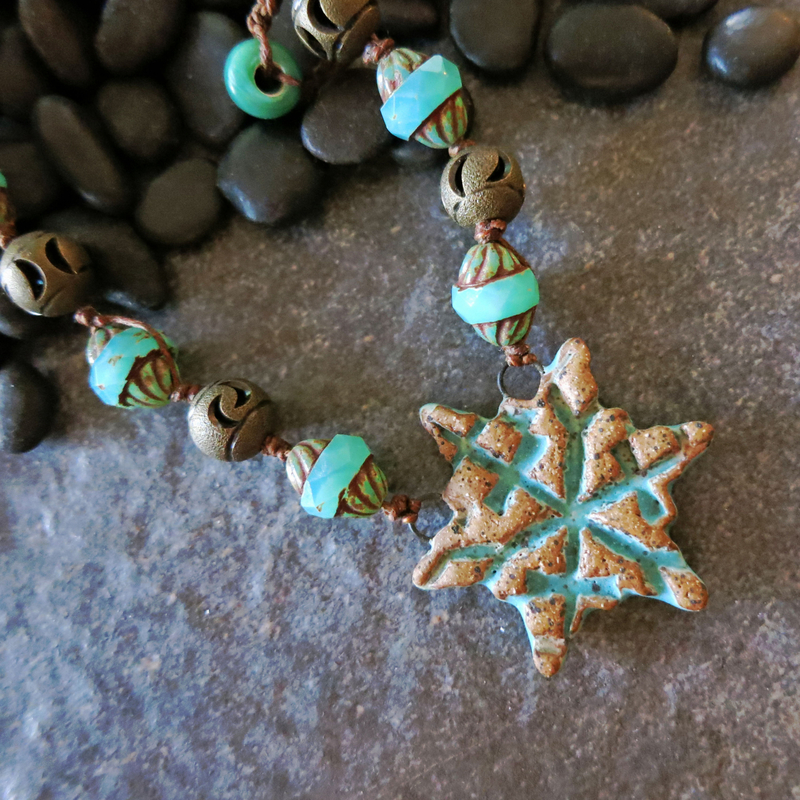 The artisan snowflake is made from a brown speckled stoneware clay and it is glazed in matte turquoise. 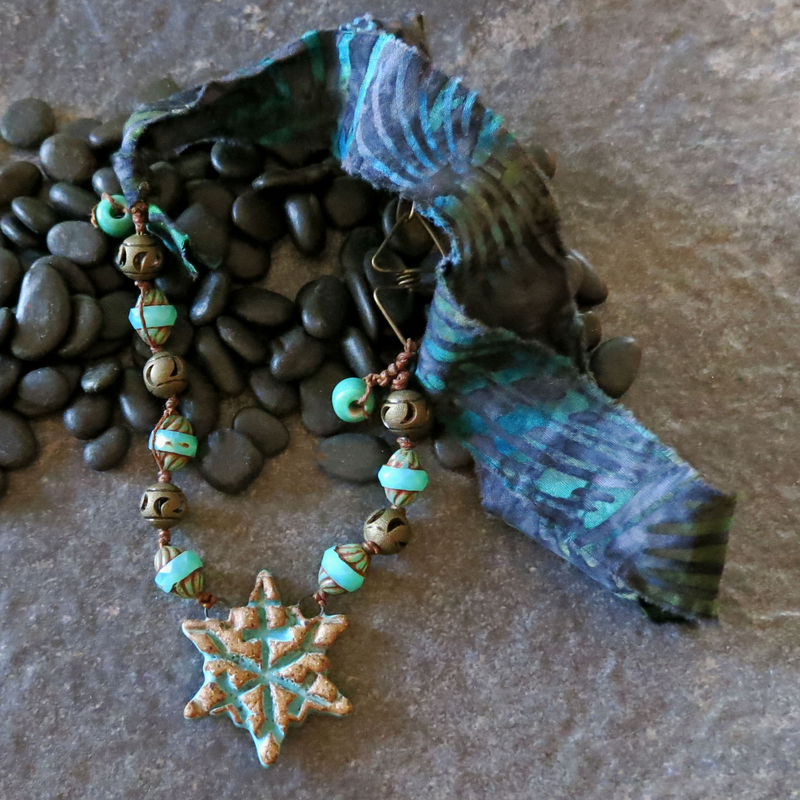 A beautiful blue and turquoise batik fabric ribbon softens the overall look. 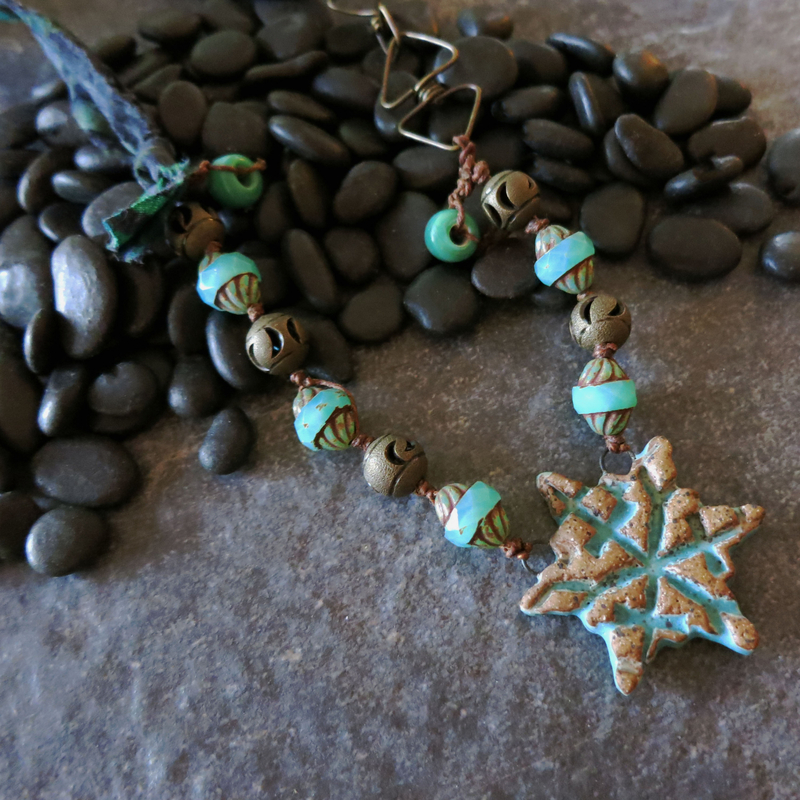 I created the triangular wire work clasp to echo the triangular points of the snowflake. 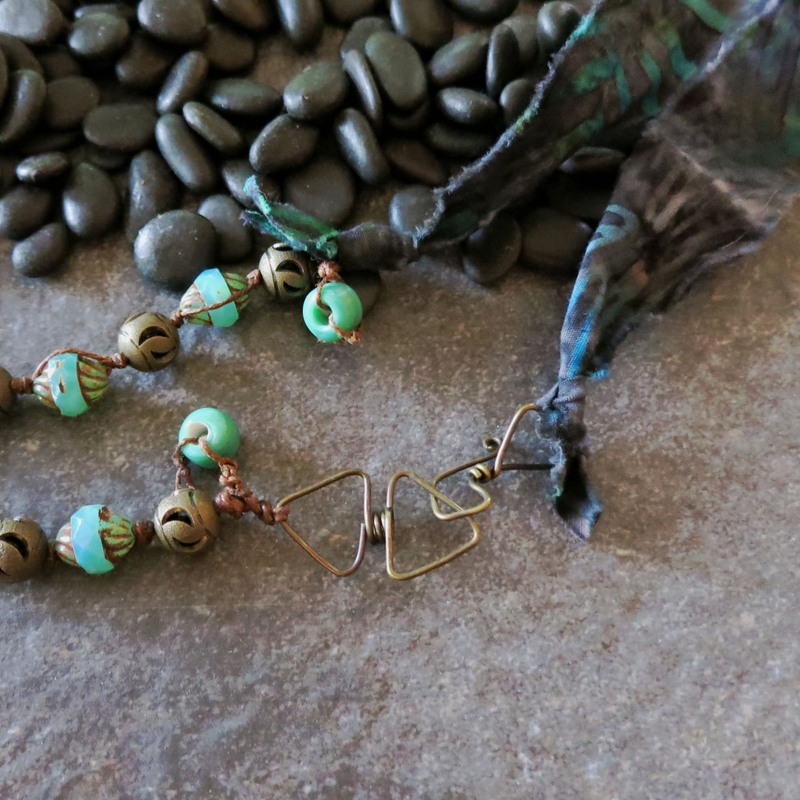 I placed the brass wire clasp on the side of the necklace so that it would be one of the overall design elements. Length: 26 inches (68.5 cm) long. 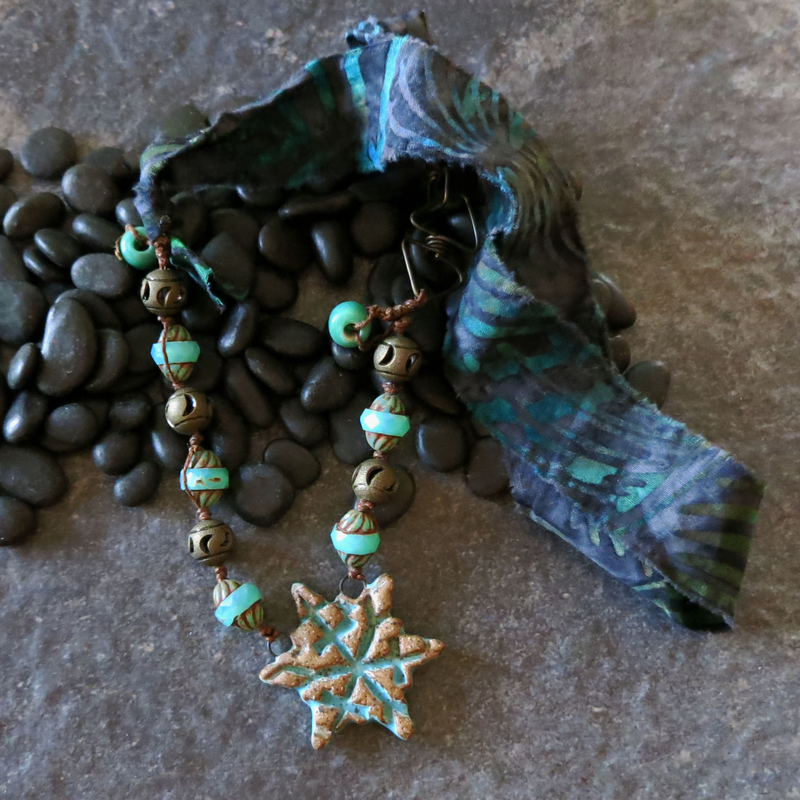 One of a kind, artisan necklace.